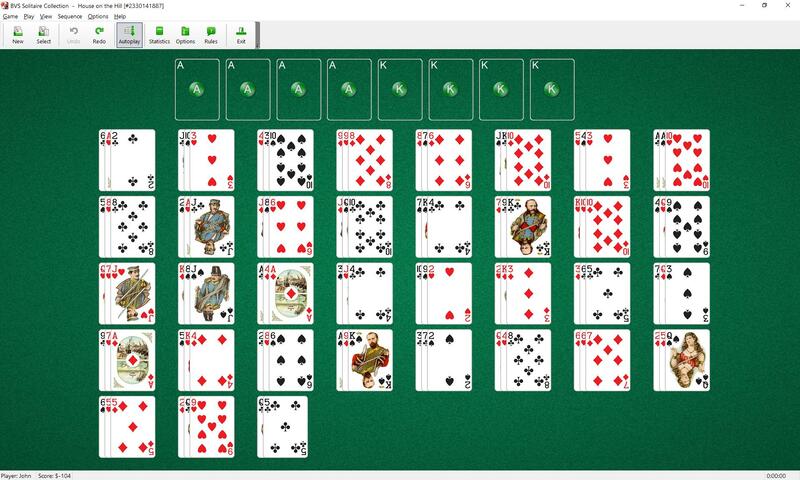 House on the Hill Solitaire uses 104 cards (2 decks). 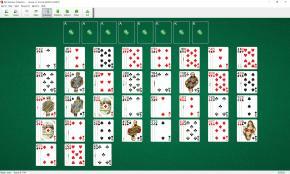 35 tableau piles (three cards in each) are placed on the board. The last pile contains two cards. An Ace and King of each suit are moved to the foundations as they become available. Only the top card of each pile is available to play. The piles are built up or down in sequence in suit. Empty tableaus cannot be filled.